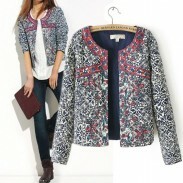 Unique Slim Irregular Woolen Coat Windbreaker Jacket you should own one in your wardrobe. 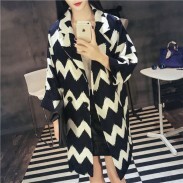 Unique Slim Irregular Woolen Coat/Windbreaker/Jacket, you should own one in your wardrobe. 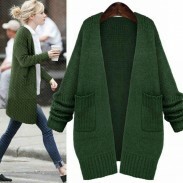 It is made of woolen fabric, smooth and soft, shape and color last long. Irregular style, very unique, revealing unruly charm, adds punk element to it, fashion, and avoids singleness. Slim design can show body figure very well. 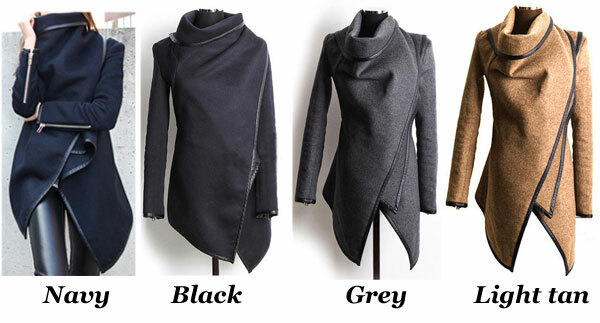 With so cool a Irregular Woolen Coat, you are no longer a ordinary lady outside. You will attract attention. This is a cool coat. Great quality. 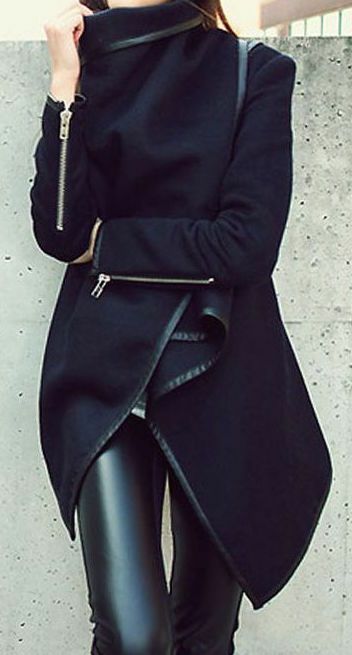 Nice coat for fall or early winter. Stylish, blocks wind, and is a great addition to my wardrobe! Cute jacket very stylish. ordered a size up and it fits great. I enjoy it and the compliments. 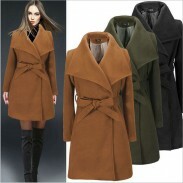 From day one, I have received several compliments and I show off the unique one button behind the neck.Coat is very nice and stylish runs small had to exchange but got excellent customer service. I have ordered the black. I can not wait to get it. This in'shgtis just the way to kick life into this debate. 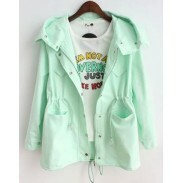 Looks like so fashion, Color is really good, quality also pretty good.